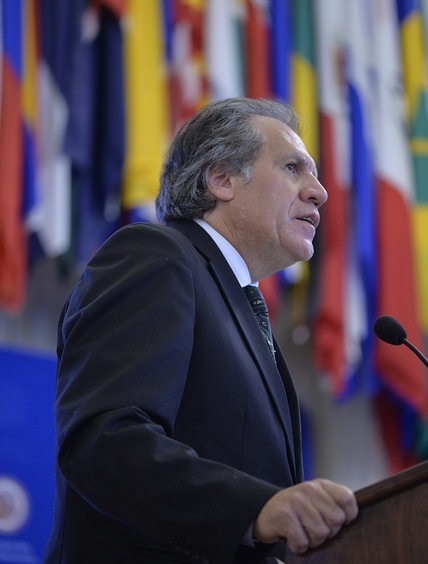 The OAS’s new Secretary General, Luis Almagro Lemes, appears to be steering his organization toward a coordinating role that, he hopes, places it above the fray of hemispheric tensions. He has not chafed at Washington’s version of democracy promotion, and indeed has embraced elements of it. He has readily admitted the “inexorable conclusion” that the OAS needs to be “revamped and modernized”; that it needs to “reinforce its legitimacy”; and that its structure and resources need to be better realigned with the four pillars of its mission—democracy, human rights, security, and integral development. His promises of internal reform so far have not been radically different from those put forth by his beleaguered predecessor, José Miguel Insulza, or even diverged from proposals embodied in U.S. legislation passed in 2013. 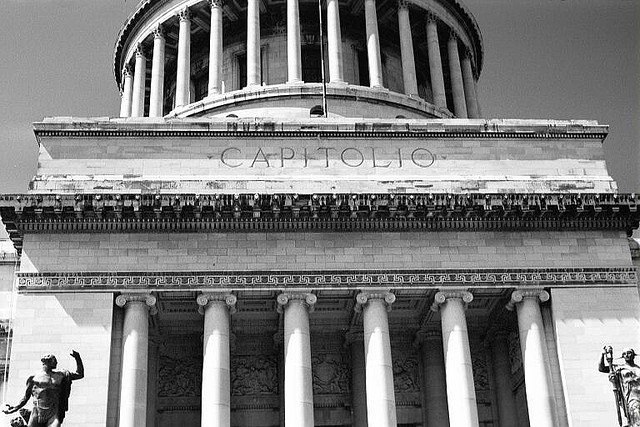 They have been articulated, however, in the sort of Washington consultancy language that might help his cause in the U.S. capital, such as references to evolving “from the OAS’s traditional command and control toward an organization that operates like a matrix geared to results in which the hemispheric and national dimensions feed into and enrich each other.” Elected in March and inaugurated in May, in June Almagro received a mandate from the OAS General Assembly to restructure the General Secretariat, reorganize old offices into new ones, and implement other aspects of his plan. Regional reactions to Almagro’s election and reform plan have been positive if sometimes not overly enthusiastic. At the General Assembly meeting, U.S. Deputy Secretary of State Blinken spoke of a “new chapter … in the history of the OAS” and said, “We have a new secretary general, a new strategic vision statement, and renewed attention to genuine reform.” South America’s preeminent power has been generally aloof toward the OAS, but the Brazilian Senate in mid-July approved a new OAS permanent representative, and last week Brasilia paid $3 million of its $18 million in late dues—modest relief from the slow strangulation caused by dire cash-flow issues because of non-payment by several key countries. Almagro has also won support in Latin America through his repeated signals of a desire to work more closely with other hemispheric bodies—even CELAC, which was created in 2011 as a direct challenge to the OAS and supposed U.S. influence over it. He pledged to “seek out areas where we can complement the work of other bodies,” citing by name CELAC, UNASUR, SICA, CARICOM, and MERCOSUR. According to press reports, his close cooperation with UNASUR as Foreign Minister of Uruguay in 2010‑15 lends credibility to that promise. Almagro also has won regional praise for pledging to continue efforts for bring Cuba back into the OAS as a full member—building on the success of the Summit of the Americas in April driven by the Washington-Havana rapprochement. Outgoing Secretary General Insulza was a relatively easy act to follow because, often unfairly, his image was tattered after 10 years in the crossfire between Washington and the countries pushing to undermine U.S. influence in Latin America. Almagro appears eager to push the re-set button, and the success of the Summit of the Americas and his pledges on democracy, reform, and hemispheric cooperation have given him a good start. But leading the OAS is going to take more than artful rhetoric, internal restructuring, and a few reforms. 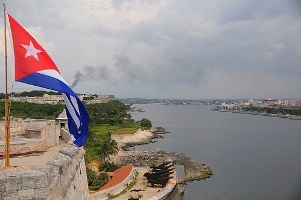 President Obama’s move on Cuba removes one major irritant from hemispheric relations, but an effective Secretary General is going to have to navigate the shoals of longstanding North-South tensions. The “spirit of genuine and equal partnership” that Deputy Secretary Blinken spoke of wanting with the OAS will be difficult to achieve, and the supporters of CELAC, UNASUR, and other alternatives to the OAS will find it equally tough to accept the OAS as a valid venue for debate and compromise. Almagro will also have to show that he can run the organization in a professional and modern way to overcome the perception left by his predecessor of weak management of the institution. He has declared himself a man of practical solutions, not ideology, but pleasing everyone—trying to be a coordinator who threatens no one’s interests—may not be a workable strategy for long. If the OAS is to fulfill its mission, moreover, the United States and others will have to give Almagro the space to do his job. The two presidents are committed to using their remaining time in office – Obama until January 2017 and Castro until February 2018 – to burnish their legacies as leaders who solved an historic impasse. The timelines for full normalization of ties between the two countries – including political, economic and social relations – certainly will go beyond their terms in office, and the process will take time and energy beyond their offices and governments. The Summit of the Americas in April can be a crowning jewel to both Presidents’ efforts if issues such as civil society representation at the event can be resolved. The timing of the Summit will hold the White House’s attention for this period. 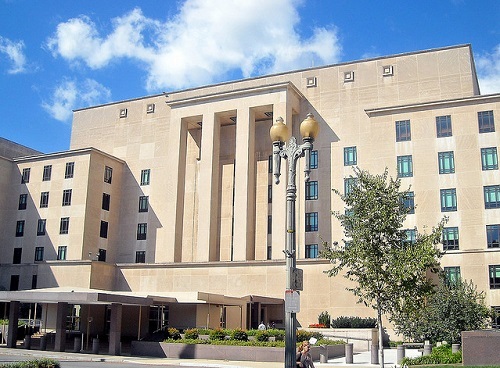 Greater emphasis by the Obama administration on the tangible benefits to the U.S. made possible by steps toward normalization would serve it well, including formalization and expansion of bilateral cooperation in counternarcotics, counterterrorism, and environmental and health issues. The criteria for policy success should consist of benefits to the American people, rather than “helping” Cubans or facilitating “regime change” in Cuba, as the Castro government will (as any government would) remain firm that its political system is not negotiable. The potential for trade will be strong enough to persuade U.S. business to press for the broadest possible implementation of the new measures and, if the Cubans can articulate a clear strategy to attract (and protect) investments, for embargo-loosening legislation in Congress. Potential obstacles require attention, but none appears insurmountable. Provocateurs in both countries could undertake actions intended to torpedo the normalization process. In addition, the Washington’s “democracy promotion” programs for Cuba – which are unlike any others around the world – will certainly strengthen hardliners in Havana arguing for a go-slow engagement with the U.S. With the stroke of a pen, President Obama could suspend the Bush-era program to persuade Cuban doctors to defect to the United States, a policy that hinders bilateral medical cooperation and threatens to sour talks. Hardliners in the U.S. Congress will continue to be rhetorically opposed to improved relations – because they oppose Cuba or Obama – but the Obama policy has plenty of running room before needing legislation to advance. Cuba may have limited capacity to effectively manage the various processes of change in the bilateral relationship. This may slow down the process and dictate the need to proceed sequentially rather than along many fronts at once. Several “wildcards” – including leadership changes – could impact the normalization process. No model for this new bilateral dance is perfect. China and Vietnam show that trade-driven economic change – even with U.S. most-favored-nation status – doesn’t necessarily drive a country to democracy. 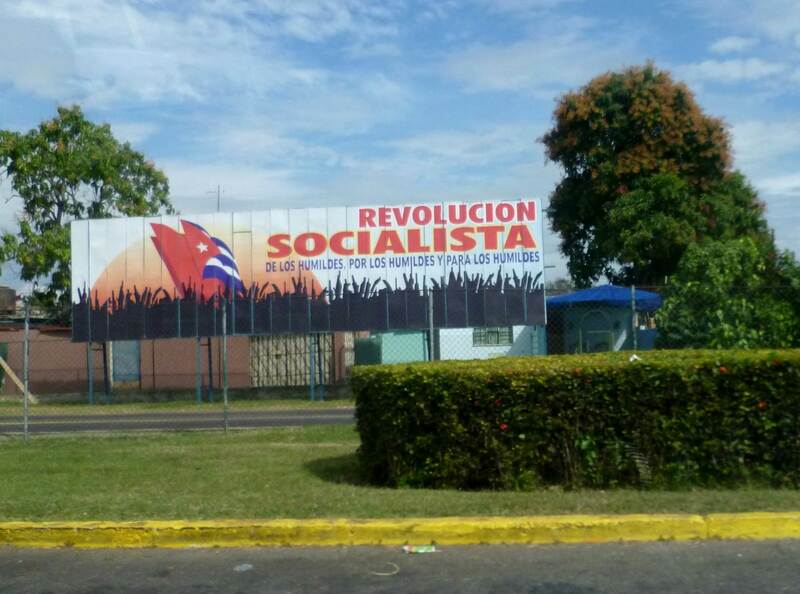 An educated and healthy people with strategic needs, the Cubans are prepared to work hard to build their country, but they’re not going to work in factories with anti-suicide nets under the dormitory windows. That sort of political awareness argues for change, but the Cuban revolution implanted in the Cuban psyche a certain set of values and expectations – ranging from social programs to an almost obsessive sense of dignity – that won’t always coincide with U.S. values. The Cubans will want to go a la carte with us on political matters, and they, like every country of Asia and Latin America emerging from difficult times, will almost certainly expect us to give them the space to do change their own way. The United States worked with Mexico under one-party rule for 70 years last century. If Washington and Havana approach the challenge of building a healthy relationship with respect and open minds, they should able to find a middle ground and grow together a lot faster than that. The sanctions against Venezuela that the Obama Administration announced last week respond to political pressure to punish alleged human rights violators in Caracas, but they have no immediately apparent policy objective. The State Department announced that it has suspended the U.S. visas of “a number of Venezuelan government officials who have been responsible for or complicit in … human rights abuses” during protests earlier this year, which resulted in the deaths of at least 40 people, injury of hundreds more, and jailing of dozens of activists. The Department did not release a list of sanctioned individuals nor divulge the information used to compile the list, but press reports indicate that 24 officials have been targeted and include cabinet members, presidential advisers, police, and military officials. The sanctions do not affect bilateral trade or Venezuela’s place as the United States’ fourth biggest foreign supplier of oil. U.S. condemnation of the Venezuelan government and the blacklisted officials has been strident, but there has been no public explanation of what Washington expects the sanctions to achieve. The statements of U.S. Principal Deputy Assistant Secretary of State John Feeley, made to a Colombian radio station and reported by El Universal in Caracas, strongly suggest the sanctions are intended to show solidarity with the Venezuelan opposition and U.S. disapproval of the government of President Nicolás Maduro. “Social protests have been a genuine war cry from people oppressed by the lack of democracy,” Feeley is reported as saying. 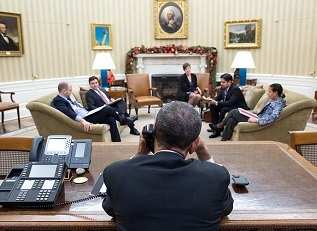 “The [sanctions] were intended to note that the U.S. cannot allow, for the sake of its values, that a supposedly democratic government represses the legitimate expression of the people’s voice.” The State Department has not demanded, however, any particular action by Caracas to lift the sanctions, such as an investigation into the abuses, re-launching a national dialogue, or compensating victims. Feeley suggested that the governments of Colombia and Brazil – with which he said the U.S. government had “meditated” about the issue – supported the sanctions, but regional support for them has been muted at best. Indeed, the Administration had responded to last May’s House of Representatives vote in favor of sanctions by indicating that these would be counterproductive and could undermine efforts at mediation by these same countries. The one dissenting voice in the House, Congressman Greg Meeks (D-NY), explained his vote as opposing unilateralism, adding that its passage was a message to Latin American governments that we don’t care what they think. The Venezuelan government has repeatedly and credibly asserted that a significant portion of the violence has been perpetrated by protestors rather than the state or government supporters, and a number of officials have been charged. Nonetheless, no U.S. sanctions have been brought against opposition members who planned or participated in violent actions. Some observers have attributed the U.S. action to pique that Aruban and Dutch officials several days earlier rejected its request that they extradite to the U.S. Venezuela’s new consul in Aruba, a former chief of intelligence whom Washington suspects of trafficking in drugs with the Colombian FARC – despite Vienna Convention provisions regarding diplomatic immunity. More likely, the sanctions are a reaction to a realization that the quixotic “salida” campaign, which many in Washington somehow imagined could bring down the Maduro government only months after it had won an election, had all but petered out, leaving the opposition in disarray and the government in a renewed position of strength. Sanctions also are a bow to congressional pressure on the Obama Administration to act against Caracas, which has continued to grow even after the salida campaign has run out of gas. Just hours after the sanctions were announced, Senator Marco Rubio issued a press release taking credit for them, and other conservatives – led by the Cuban-American congressional delegation – called for even tougher measures. Without clear objectives, however, the sanctions seem to be mostly a moral and political statement – pushing relations into yet another dead end from which neither government is disposed to find a way out. Indeed, Venezuelan officials, calling the sanctions “a desperate cry from a nation that realizes the world is changing,” are turning the diplomatic adversity to domestic political advantage, just as administration officials had wisely predicted in pushing back against the Congressional saber rattling last spring.